December must rank as the low point in the triathlon calendar. The racing season is a distant memory, there’s at least five months until my next triathlon event, the evenings are dark and the weather is cold and wet. And as if that isn’t enough, someone has thrown in Christmas with all its temptations. However the off season is not all bad. It is a good chance to stand back from the relentless pressure of race training and concentrate on fixing a few things. Last year I focused on my cycling as it was by far my weakest discipline, but I wasn’t very scientific about it – I just did lots of it. I went on virtually every club ride going and when there wasn’t a club ride I went out on my own. However there was no structure to it and I had no way of measuring my progress. In fact my first real test of whether I had improved in the off season was in my first race in June. As it turned out I had improved, which is just as well because it would have been a bit late to find out I hadn’t. This year I am taking a more scientific approach. I have singled out my cycling and swim technique as areas to focus on. I blogged about my swim technique coaching a few months ago and I am glad to say things are still improving. On the bike I have really tried to apply some science. This year I want to be able to measure myself because what you can measure, you can improve. Power training is all the rage in the world of cycling at the moment. How many Watts of power you are generating is a great real time measure of performance, arguably better than heart rate or training based on perceived effort. The problem with using power to train on a bike is that you won’t see much change from £1,000 for a decent power meter. I can’t justify that kind of expense, but after a lot of looking around I have found a great alternative – TrainerRoad. TrainerRoad is a turbo based training system that uses other measures to calculate an approximation of power, a measure they call “Virtual Power”. I won’t explain how it all works here as TrainerRoad does a very good job of that on their web site. What I can say is that for £50 or so of components, about 15 minutes of set up, a quick software install and a £6.50 per month subscription I was power training on my turbo. Trainer Road uses speed and cadence data and the knowledge of which turbo you are using to calculate power stats on the fly and display them on your PC/laptop. You get a live graphical and digital view of the stats and considering all the calculations are happening on remote servers somewhere else on the web, there is no noticeable delay in the speed at which the displayed stats respond to your activity. How accurate are the power readings? Tests show that they are accurate to within about 5% but I don’t think it matters. What it gives you is a performance benchmark and providing you keep your settings (turbo resistance, flywheel tension, tyre pressure etc.) all exactly the same, then all your results can be compared to the benchmark on a like for like basis. But TrainerRoad is more than just a virtual power meter. It is also a training regime. The software comes equipped with an extensive library of workouts. If you are like me and like structure then you can also chose a full workout program. Wherever you are in your training cycle and whatever you are training for, they have a program to fit with the small exception of one for an Ironman, although they do have a Half Ironman program and when I asked they said a full Ironman program is on the way next Spring. Like all these things, the proof of the pudding is in the eating – so does it work? I can only speak from experience. I started six weeks ago with a “Sweet Spot” base training program. Every program starts with a test to establish a benchmark and to set the power targets for your workouts. The test is a standard 8-minute test – two reps of eight minutes at full tilt built into a one-hour session– which is used to calculate your Functional Threshold Power (FTP). In English this is the maximum level of power that you could hold for one hour. My test calculated that my FTP was 163 Watts. The Sweet Spot program was six weeks of three workouts a week, each between 60 and 90 minutes duration. Most workouts were interval based with increasing lengths of intervals in the sweet spot between 85% – 95% of FTP. It was hard work and pushed me much harder than I would ever have pushed myself. Yesterday I finished the program and retested and produced a shiny new FTP of 189 Watts – a 15% improvement in my power in just six weeks. It’s not going to scare Sebastian Kienle, but my verdict? It works all right! On top of that, interwoven into every workout are lots of technique tips and drills. Not only am I already a more powerful cyclist, I believe I am also more efficient. There is also a social element to it. You can make your results public, to other TrainerRoad users, and even organise teams and collect results. Sharing the experience with my friends Chris Glover (yes the Chris Glover) and Louisa Vere have made me that little bit more accountable and made it more fun. So with an early Christmas present of an extra 26 Watts, I am going to take a short break – who knows I might even cycle outside – before starting a follow on Sweet Spot base training program in early January. I can’t wait. It is safe to say that I am a huge fan of TrainerRoad. In other news spare a thought for my friend Nick Wall. During an off season MTB burn up with some friends in the Forest of Dean, Nick took a downhill jump a bit too fast. The problem with downhill jumps is that the ground is suddenly a long way below you. Nick estimates that he was twenty feet up when he lost control and the back wheel came over the top of him. Needless to say he hit the ground hard. When the smoke had cleared Nick had broken his shoulder, his elbow, his wrist in three places and four ribs, one of which punctured a lung. After a bit of surgery he is on the mend and still managing to smile. Here’s to a quick recovery. I am still hopeful that he and I can race The Outlaw Half together in late May but time will tell. That’s all for now! All that remains is to thank you all for reading in 2014 and to wish you all a very merry Christmas and a happy New Year. Let’s do it all again in 2015! This entry was posted in Uncategorized and tagged Andover Triathlon Club, Half Ironman, ironman, off season, Peter Whent, Power Training, Trainer Road, TrainerRoad, turbo training, Views from the Tird Wave, Virtual Power, Winter training. Bookmark the permalink. Interesting stuff as ever Peter – I think I’ll have a look into it. Thank you David. Merry Christmas to you too and a happy New year. Big year for you 2015!!! Awesome update! Glad to hear all of the success with Sweet Spot. This much improvement now while still working on base shows a lot of promise for the rest of the year. 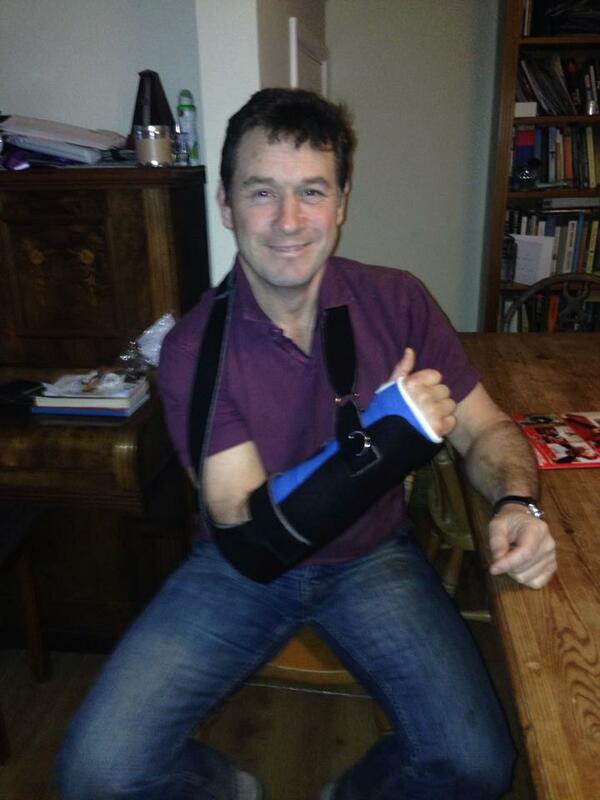 Wishing Nick a full and speedy recovery, sounds like a nasty tumble. Thank you for your kind comments Trevor. 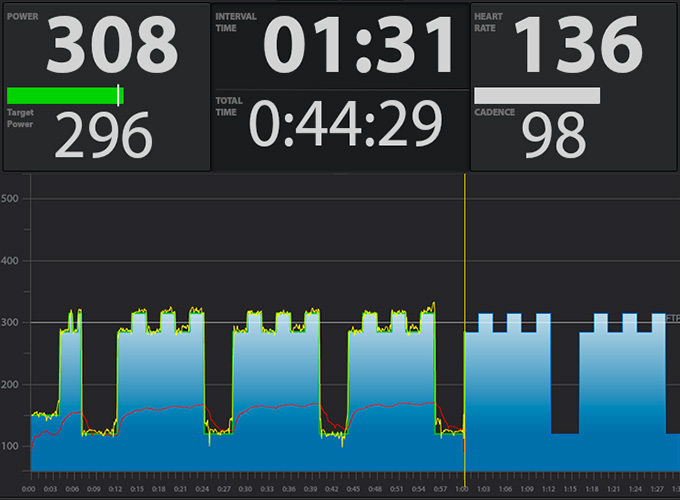 TrainerRoad is awesome. Great fun, but most important it really works. I am happy to be an advocate!